A special beginner and intermediate children’s sailing program is available for select weeks during the summer. We work with The Madawaska Club of Go Home Bay to provide a Sail Canada/Ontario Sailing certified program for Honey Harbour Day Campers. Located at The Schoolhouse near Pleasant Point in North Bay, the Honey Harbour Day Camp is a wonderful outdoor daycamp for children ages 5-14 that operates July through August, Monday to Friday from 10am-3pm. Programming is conducted by YMCA trained counsellors with our co-operative relationship with the YMCA Camp Kitchikewana. 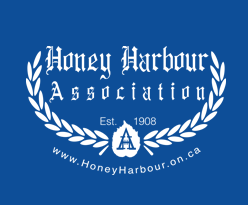 The Honey Harbour Tennis Club is an autonomous club made up of members of the Honey Harbour Association. It offers tennis programs, tournaments, and social opportunities from May through October. Sonya Lester is happy to be offering new and inspirational yoga classes at The Schoolhouse. Classes are geared to all levels and invite the Honey Harbour community of cottagers and their guests to experience a truly unique yoga experience overlooking the beautiful waters of Georgian Bay.